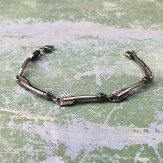 Great little bracelets that look good on their own, layered with other bracelets, or worn in multiples. This listing is for the linked arrows. 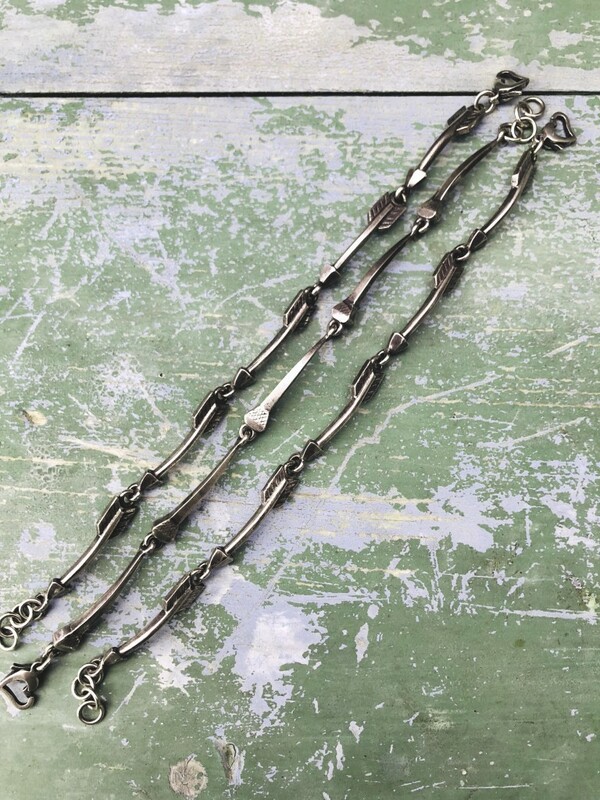 Each bracelet is adjustable from 6 1/4" to 3/4". By Susan Adams, master metalsmith and jeweler. 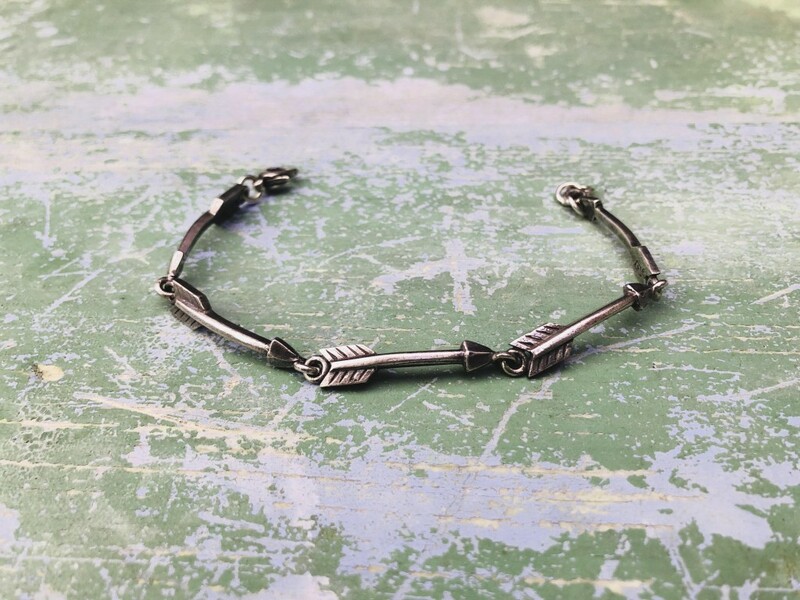 For the Linked Horseshoe Nail Bracelet, click here. Size: 6 1/4" - 6 3/4"